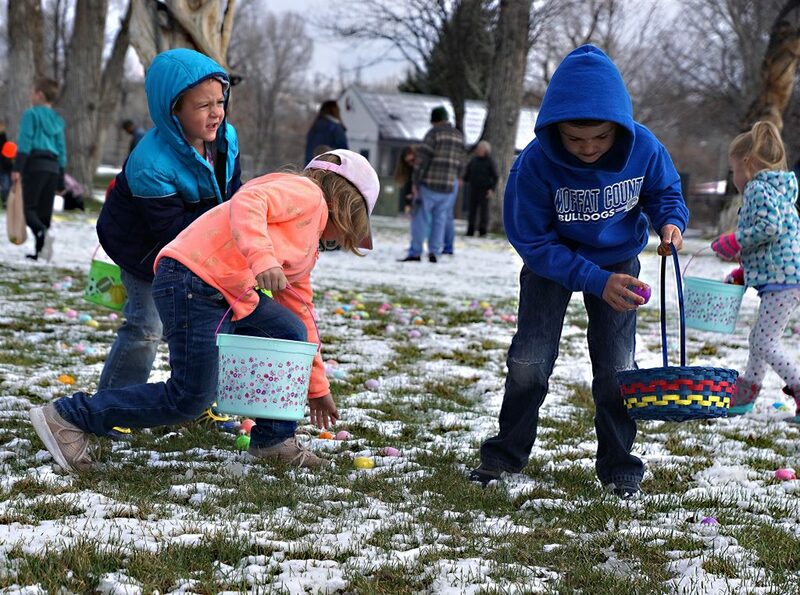 Young hunters scrambled in the snow for candy filled Easter eggs. 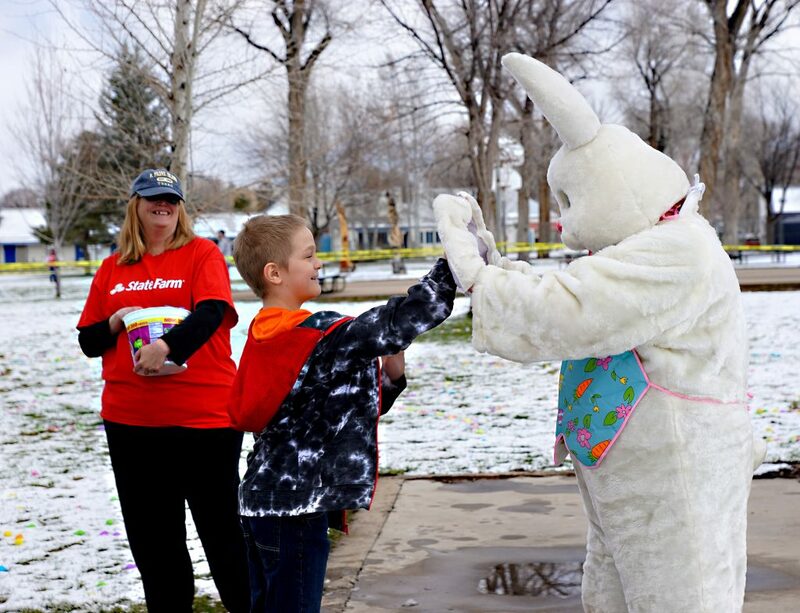 The Easter Bunny (Scott Lang) helped warmup the crowd with hi-fives prior to the start of the Third Annual Justin Stokes State Farm Insurance Easter Egg hunt held Saturday, April 13 at Craig City Park. A parent helps her child collect Easter eggs in the section of the park allocated for ages birth to 3-years. A child listens to his parent after collecting a brightly colored egg. 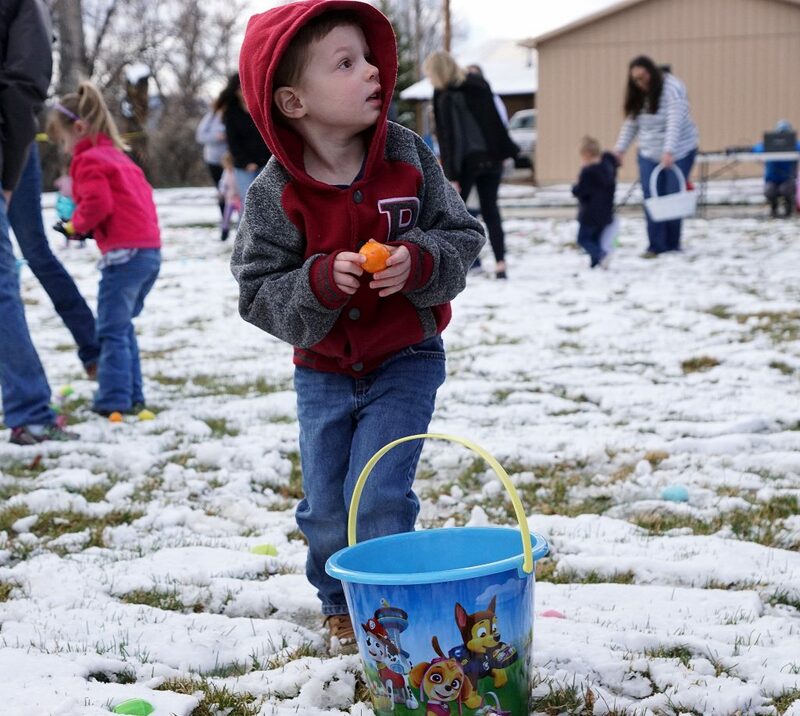 Baskets were filled to the brim with some of the more than 10,000 plastic candy filled eggs provided by Justin Stokes State Farm Insurance Agency. Parents help this little cowgirl to fill her basket. Yileyni, Giovanni and Adelyn Garay-Garcia showing off smiles and empty Easter baskets prior to the start of the hunt for candy filled eggs. 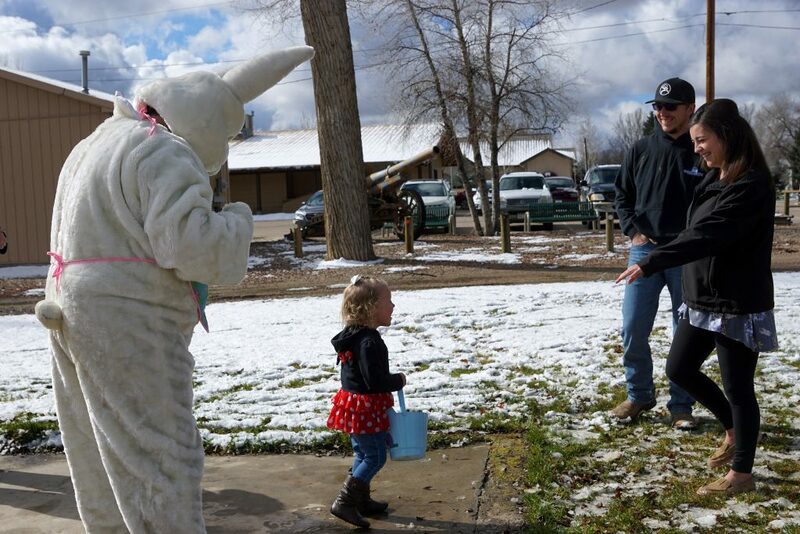 Adley Ivers hustles back to her mother after meeting the Easter Bunny. 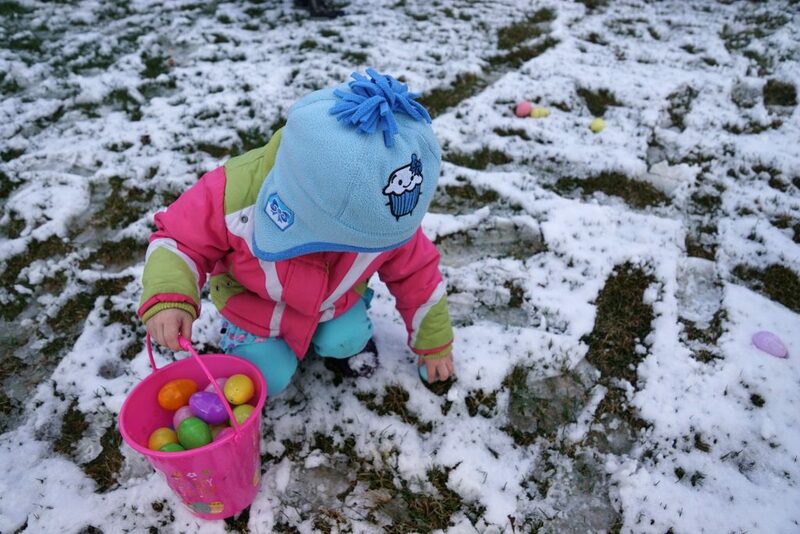 Children bundled up in coats and hats hunt Easter eggs in the snow. Pictures with the Easter bunny proved popular with this young crowd. 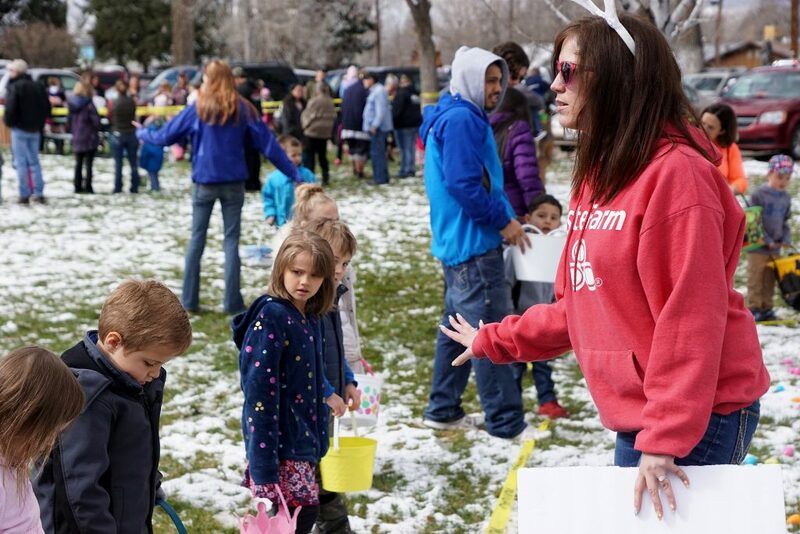 Staff, family and volunteers help organize the crowd during the Justin Stokes State Farm Insurance Easter egg hunt. Taking a break from hunting Easter eggs, this kiddo pauses to crack open an egg to see what's inside. 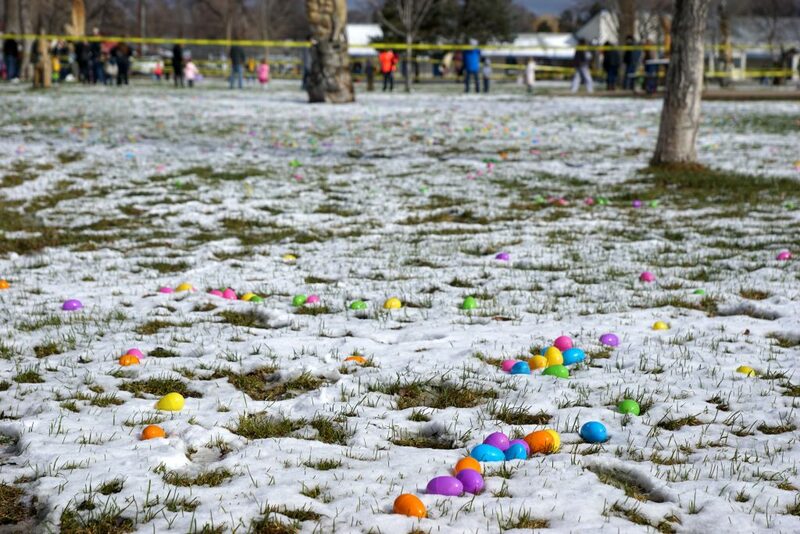 Brightly colored Easter eggs lay in the snow as crowds gather. 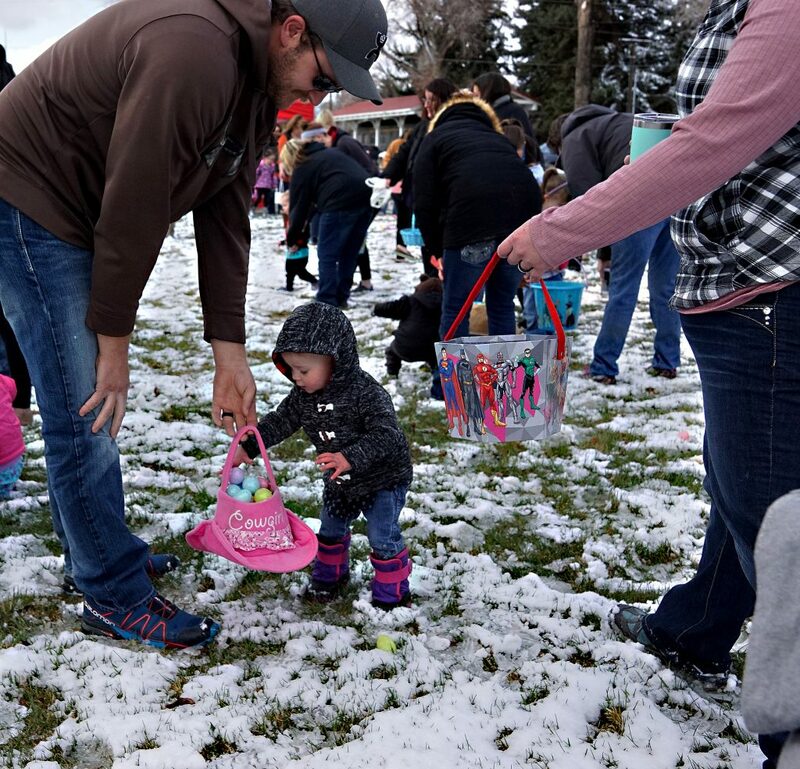 Droves of Craig kids bundled in coats brought brightly colored baskets to fill during the third annual Justin Stokes State Farm Easter egg hunt held at a snowy City Park on Saturday morning. “I’m really a kid at heart,” Stokes said about his enjoyment in sponsoring the event, something he intends to do as long as he’s an agent in Craig. 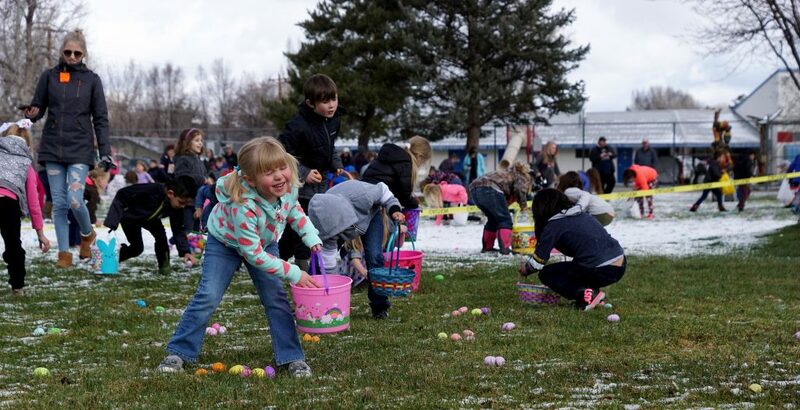 Easter started in February at the local agency as his staff began the process of stuffing more than 10,000 brightly colored plastic eggs with a large variety of candy. “I think we have just about every kind of candy you can think of,” Stokes said. The State Farm staff were aided by youth from the Church of Jesus Christ of Latter-Day Saints. 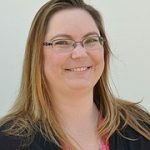 “I want to be sure to thank them and the folks at Walmart who donated $50 gift cards going to the kids that find the golden eggs,” Stokes said. 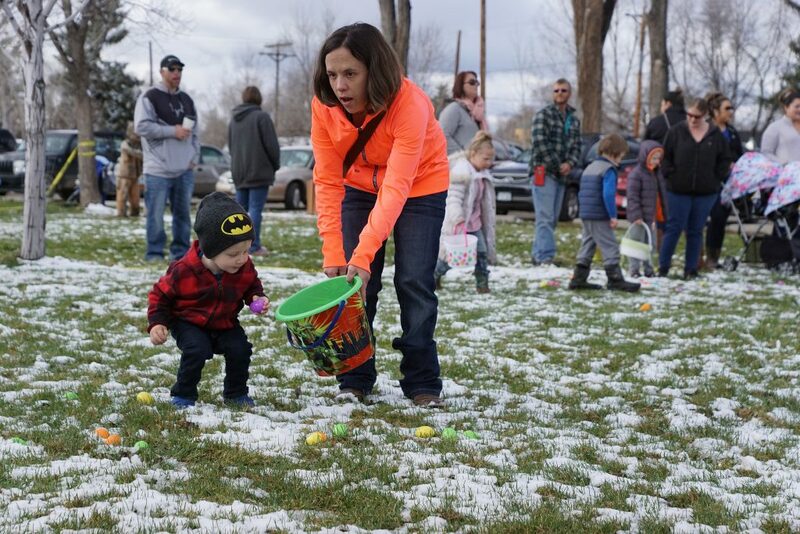 Three golden eggs were hidden, one in each section of the hunt, with sections for children ages 3 and younger, 4 to 6, and 7 and older. 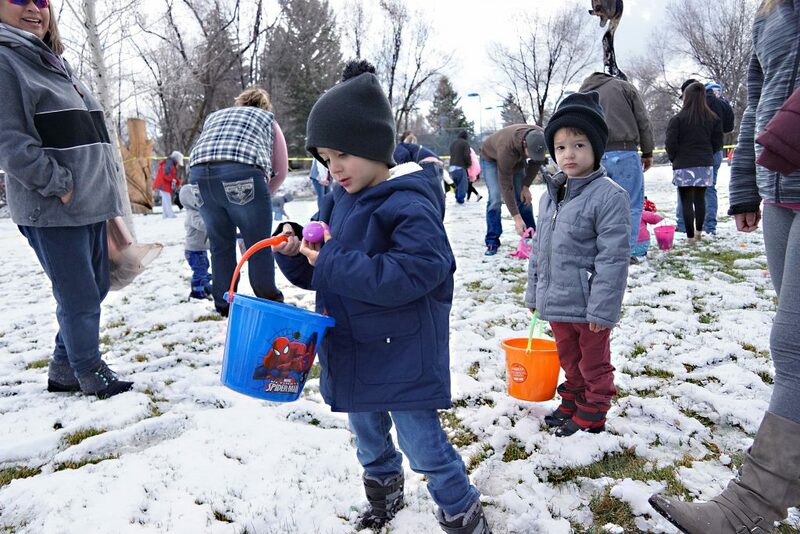 Eggs were hidden around the park at about 8 a.m. when the ground was frozen from recent snow. Like many of the children, the Easter Bunny (Scott Lang) was prepared for the cold. He helped to warm up the crowd with high-fives and selfies. 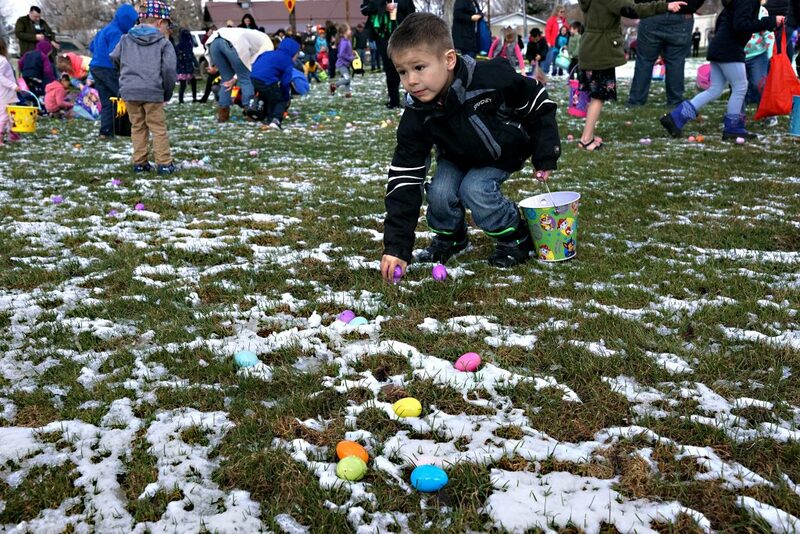 By the time the siren sounded and the hunt began, at 10 a.m., the snow was turning to slush, but conditions were still cold enough for parents to urge children to make quick work of picking the park clean of eggs. 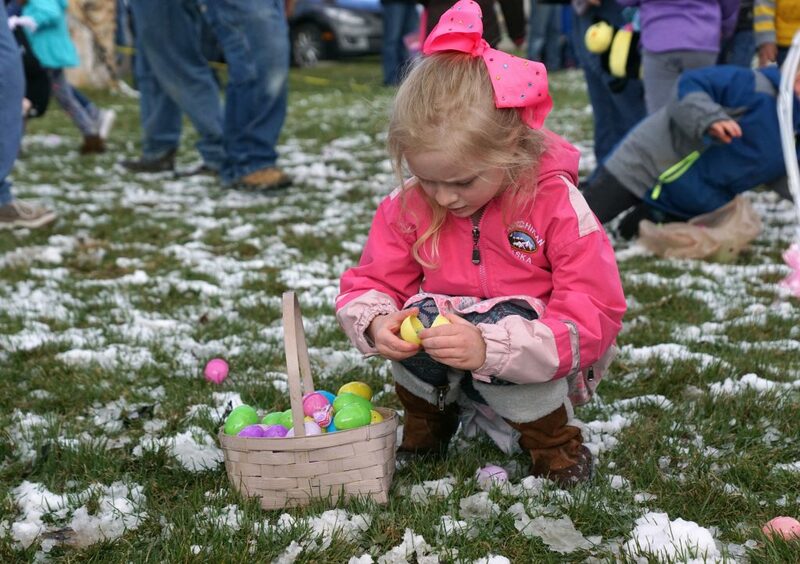 Easter festivities continue in the area in the lead-up to the holiday to be celebrated on April 21. 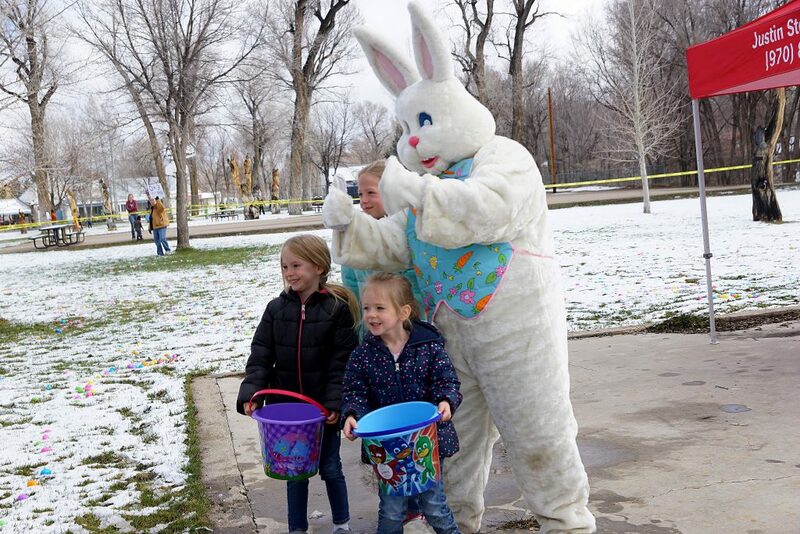 The Easter Bunny (Scott Lang) helped warmup the crowd with high-fives prior to the start of the third annual Justin Stokes State Farm Insurance Easter egg hunt held Saturday, April 13 at Craig City Park. 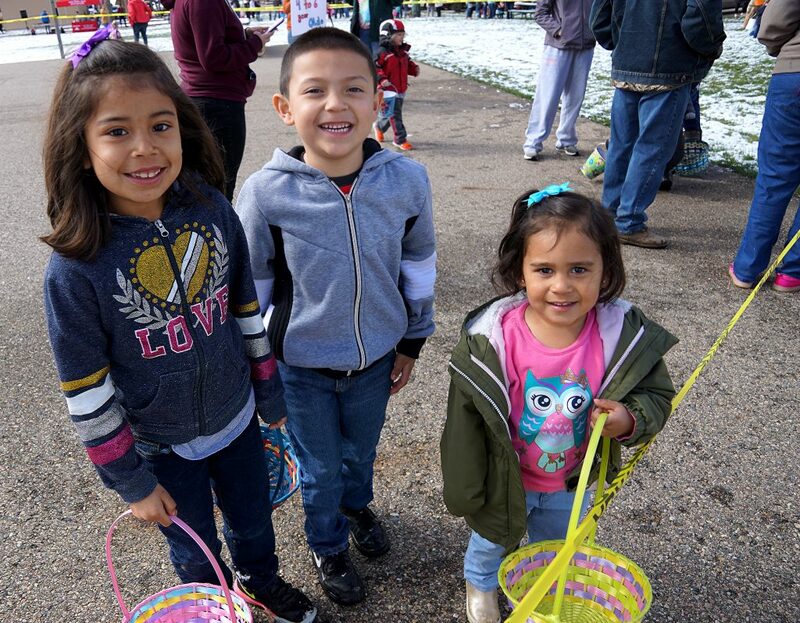 Yileyni, Giovanni and Adelyn Garay-Garcia showing off smiles and empty Easter baskets prior to the start of the hunt for candy-filled eggs. 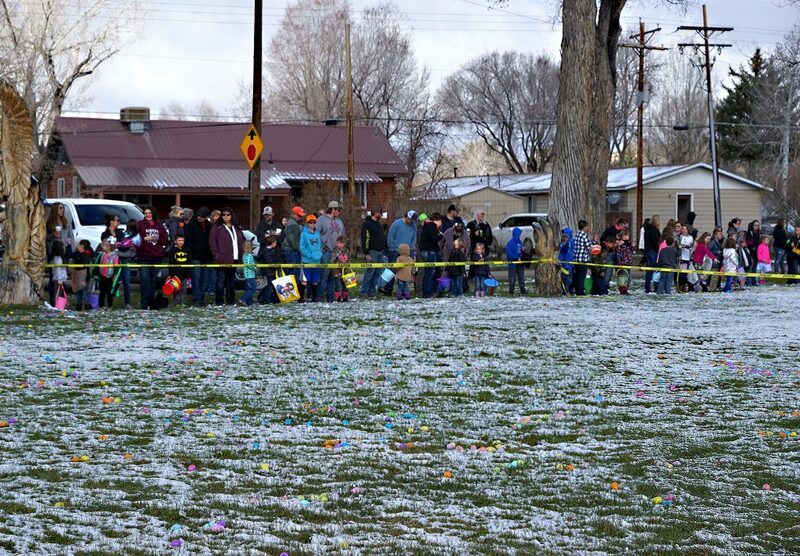 Young hunters scramble in the snow for candy-filled Easter eggs. Parents help kids collect Easter eggs in the section of the park allocated for ages birth to 3 years old. 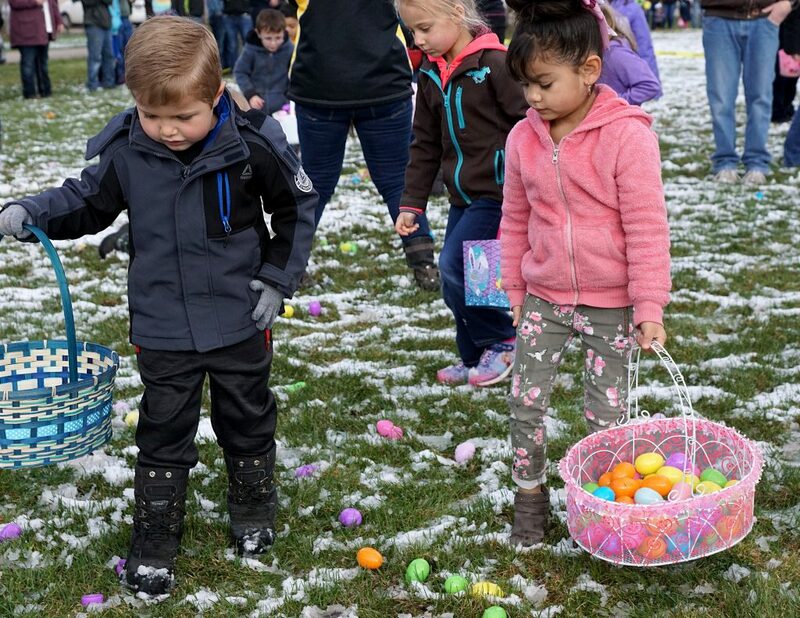 Baskets were filled to the brim with some of the more than 10,000 plastic candy-filled eggs provided by Justin Stokes State Farm Insurance Agency. A little cowgirl fills her basket. Pictures with the Easter bunny prove popular with this young crowd. Taking a break from hunting Easter eggs, this kiddo pauses to crack open an egg to see what’s inside.